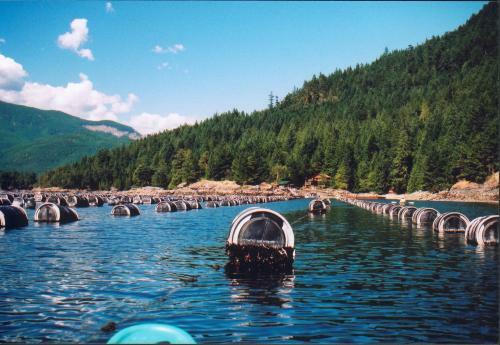 Shellfish farming is an important industry is some communities around our region, including Baynes Sound (where about half the province’s oysters are grown), Okeover Inlet and Cortes Island. In recent years the BC government has encouraged the industry to expand through increasing the area under tenure, engaging First Nations and developing new areas of the coast. However, applications for new farms or expansions have often sparked controversy, particularly as new technology is introduced and shellfish production intensifies. How much can the density of oyster or clam farming be increased on a beach, without impacting the long-term health of the beach’s ecosystem? 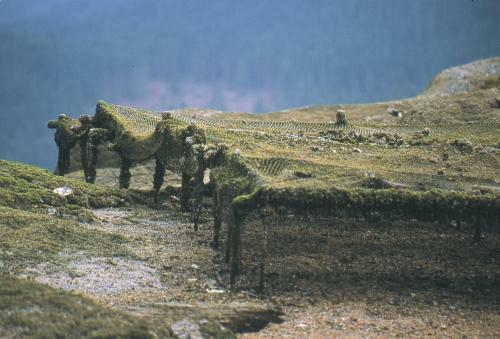 How much of the beach can be covered by predator netting without causing a problem? How much area can be put into shellfish production without losing essential bird habitat? Shellfish eat phytoplankton. Many other animals also rely on phytoplankton, which is the base of the marine food chain. How densely can an area be stocked with shellfish, without reducing the supply of phytoplankton needed by other marine life? We don’t really know the carrying capacity of the marine environment for the shellfish farming industry – either at the current level or with future expansion.The answers to these questions are simply not known, because no comprehensive environmental study has been done of the industry’s cumulative impacts. We need to better understand complex ecological relations — otherwise we might discover, too late, that changes induced cannot be easily reversed. In order to protect the public interest, government agencies must be able to enforce best management practices and the highest possible operating standards – particularly for an industry that operates in public waters. Yet standards for shellfish industry practices are voluntary, and best practices are not well defined. While many shellfish farms demonstrate excellent stewardship, some operations do not, and government agencies have been slow or reluctant to intervene. Existing regulations are often not enforced, and coastal aquaculture plans have allowed some practices that contravene the federal Fisheries Act (for example, extensive predator netting adjacent to the mouth of a salmon-bearing stream). Before further expansion of the shellfish industry is considered, effective enforcement must be implemented– just as we would expect for any other industry. British Columbians are a long way from consensus in their attitudes towards the shellfish industry. Within Islands Trust-administered areas, conflict has occurred when applications for new or expanded sites have not respected local Trust Council zoning decisions. Beyond the issue of siting, many other contentious issues have caused ongoing conflict between the industry and local residents and/or other users. Unless addressed, this is likely to worsen with expansion. More on efforts to understand and implement sustainable aquaculture practices.